A man who was reportedly on his way to a cockpit arena in Alburquerque was shot dead by motorcycle-riding men who rode in tandem in a daylight gun attack on Sunday. PO3 Ronel Agipo of the Alburquerque Police Station identified the victim as Danny Rebuyon of Barangay Toril in the said town. 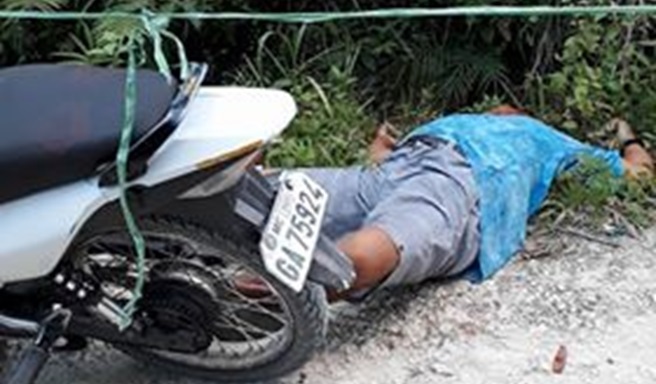 Rebuyon was riding a haba-habal (motorcycle-for-hire) and travelling along a secluded barangay road in the village of Basak Dako at around 4 p.m. during the fatal shooting. According to Agipo, the suspects moved alongside the habal-habal as they shot and killed Rebuyon. It was the motorcycle passenger who shot Rebuyon, Agipo said. Rebuyon and the habal-habal driver crashed immediately after the shooting. According to Agipo, the habal-habal driver was able to stand up right away and flee the crime scene unharmed while Rebuyon died on the spot. Police said that they are still continuing their investigation on the case while they have yet to identify the assailants and the motive behind the fatal shooting.